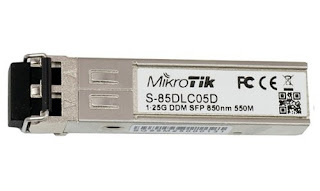 The MikroTik S-85DLC05D is a 1.25G SFP transceiver with a 850nm Dual LC connector offering a 550m Multi Mode connection and supports DDM. In addition to this non-MikroTik products are also compatible with this product. MikroTik S+31DLC10D 10G 10Km Single Mode SFP+ Module.